Sheu Sani Goes Tough, Tells Buhari To Investigate El-Rufai Over Yar’ Adua’s Death. The Senator representing Kaduna Central, Shehu Sani has called on President Muhammadu Buhari to probe the Kaduna State Governor, Nasir El-Rufai over the death of late Musa Yar’Adua. 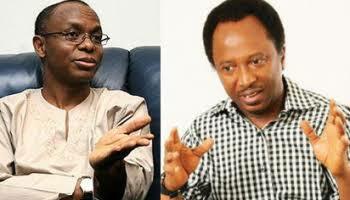 Sani gave the call while reacting to claims by El-Rufai saying the late Yar’Adua died because he opposed him, El-Rufai. El-Rufai had claimed that while Yar’Adua fought him and ended up in the grave, the immediate past President, Goodluck Jonathan was voted out of power for doing same. The Governor gave the warning while warning political opponents not to fight him. But in a post on his Facebook, Sani wrote: “With new facts emerging about Yar’adua’s death, President Buhari should open a new investigation into what actually happened to the late President. “The hitherto belief was that his death was as a result of a natural, terminal illness, recent revelations has proved otherwise. PDP Chairmanship: Fayose Reiterates Call For Single Candidate From Southwest As Jimi Agbaje Pays Courtesy Visits. Ekweremadu Replies APC ‘ I Won’t Quit As Saraki’s Deputy ‘. Read Details.